Home > Mystery > Why do UFOs spy research bases in Antarctica? Why do UFOs spy research bases in Antarctica? During 1965, different countries reported UFOs approaching the Antarctic military bases. Countries such as Chile, Argentina and the UK have informed their superiors about these facts and for reasons of national security, this information has not reached that time in the press. They have been classified and so have remained until recently when the CIA has declassified many such files. The CIA database, which has recently been declassified, contains tens of thousands of files with and about the UFO phenomenon. These can be searched on the official CIA website. One of these documents presents with strange details strange events that have begun to take place since the mid-century in Antarctica. Various scientists, military cadres or specialists who were at Antarctic bases reported a strange phenomenon. Providing unidentified objects were unreasonably close to the Antarctic bases, as if they were interested in what was going on there. At the time, this phenomenon was considered a national security and it seems that the countries whose bases were being supervised by aliens increased their security measures. There was an alert triggered at the time, but no incident was reported. What were the UFOs looking for, and why did they seem interested in these research bases? No one can really answer this question. 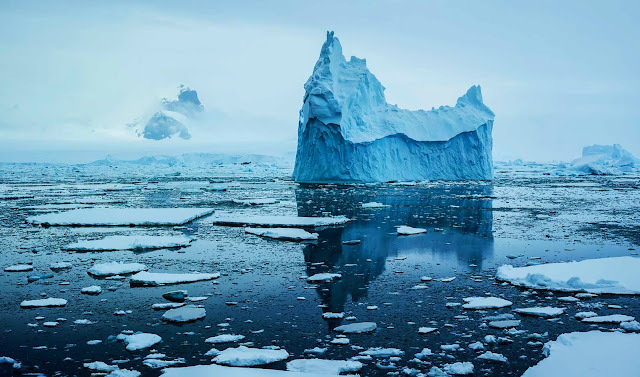 However, an official response might exist if it is speculated that under the thick ice layer there could be traces of an unknown civilization. Naturally no one can link these assumptions, but in the absence of an official conclusion, this assumption could be a logical explanation. Theodor C. Loder III, Professor Emeritus of Earth Sciences, University of New Hampshire, states: "The intelligent beings of other star systems have visited and visited our planet. They are known as Visitors, Others or Star People, etc. ... They visit Earth, and this is not a melancholic assumption or thought. " It is clear that these alien beings have visited Earth since ancient times. There is also the possibility that they were present here, long before man existed. In this sense, there has been many evidence or artifacts that simply do not fit into our history, which is why they should not have existed, but they are, however, as real as possible. The United Kingdom has also unveiled a series of documents bearing the footprint of the UFO. One of them describes the 1965 Antarctic phenomenon, from an Argentine perspective. 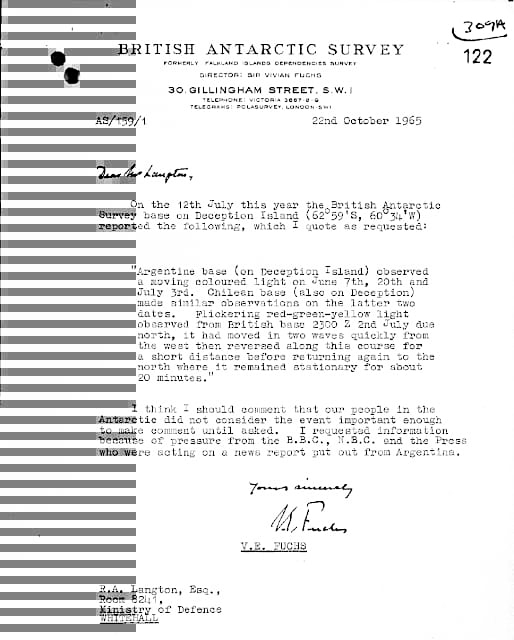 "On July 12 this year, the British Survey Base of the Antarctic on Deception Island (62 ° 59 'S, Long 60 ° 34' W) reported the following, which I quote as you asked: The Argentine Base on Deception Island saw a colorful moving light on June 7, June 20 and July 3. Chilean colleagues also made similar observations in the last two dates specified earlier. The light was moving chaotically in the sky at a giant speed for about 20 minutes, after which it disappeared just as it appeared without any noise. Sincerely, V.E. Fuchs ". This is just an example, but unofficial sources claim that these phenomena have continued to happen over the years and they have been reported and reported. The question remains the same, why do UFOs spy research bases in Antarctica?